Throw an amazing Ben 10 birthday party that kids will not soon forget! If you want to host an amazing Ben 10 theme birthday party, we have vast Ben 10 birthday party ideas in India, so you will be able to host a party that is out of this world. Plan the Ben 10 birthday party at least six weeks in advance of your party date. Schedules fill up fast so it is important to make sure you get this Ben 10 birthday celebration marked on your birthday boy's friends calendars. 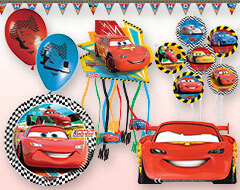 Order plenty of Ben 10 birthday party supplies so that you have extras, just in case your birthday boy decides to invite extra friends over on short notice. 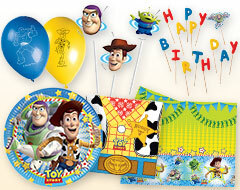 Keep to the alien theme and rent a moon or space themed bounce house for everyone to enjoy on the big day. 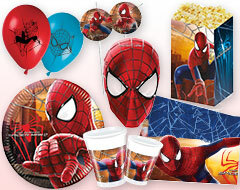 Consider hosting the Ben 10 birthday get-together as a sleepover for the party guests. This can help you to keep the guest list short, and help to ensure that your birthday boy has a great time with his closest friends. Create invitations using images of Ben Tennyson and the Ben 10 logo, with creative wording that could include "Find out where the Omnitrix will take you! 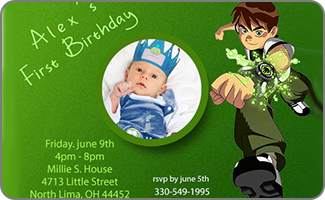 "Create invitations using images of Ben Tennyson and the Ben 10 logo, with creative wording that could include "Find out where the Omnitrix will take you!" 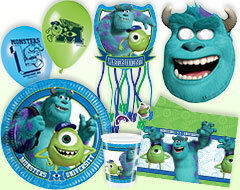 Attach a card-styled invitation to one of the many Ben 10 birthday return gifts that we offer. Attach the card using curling ribbon and a hole punched into the corner of the invitation. Stickers and die-cuts of the aliens from Ben 10 can transform a humdrum invitation into one that is filled with as much action and excitement as an episode of this popular show. Get creative with a photo editor and include a photo of your birthday boy dressed as Ben, with a green and black background on the cardstock. 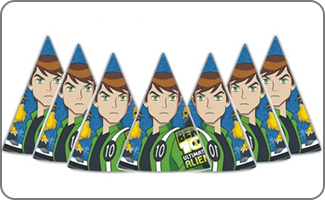 Order our Ben 10 birthday invitations to save some time and ensure everyone know just how much fun the party is going to be. A scavenger hunt to find all of the aliens hidden around the party space will keep the kids entertained for hours. If the weather may threaten to take a turn for the unpleasant, be sure to have lots of Ben 10 episodes in hand for the kids to enjoy. 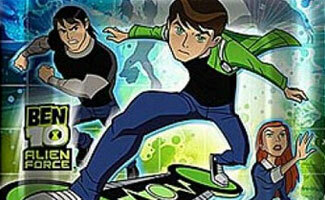 Test their Ben 10 knowledge with some easy and light-hearted trivia questions. Be sure to have lots of prizes so that everyone is able to win something during the trivia game. Pin the Omnitrix on Ben is a fun Ben 10 birthday twist on the classic party game. Some other Ben 10 party ideas to keep the kids entertained include a game of alien freeze tag, with one of the children playing the role of an enemy alien! 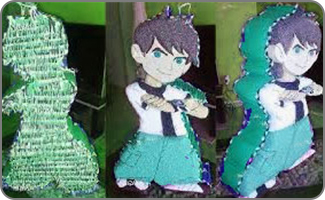 A ben 10 pinata filled with goodies to shower upon guests also makes a fun party activity. A game of water balloon catch is always sure to get everyone thoroughly soaked while they have a blast! Fill up balloons with water and divide the kids into teams. Give each team an equal number of water-filled balloons to toss between one another for a full minute. The team with the most balloons left over is the winning team. You can send guests home with theme goodies such as blowouts , whistles, face masks zipper pulls, sticker sheets, we have something for everyone. Ben 10 stickers and temporary tattoos are a must-have for every Ben 10 fan. Wristbands that resemble the Omnitrix are sure to be very popular choices. Send each party guest home with a thank-you card and some candies or cookie treats to enjoy later. Add green food coloring to ice cubes and transform fizzy clear lemon-lime soda into an alien-colored drink. Serve up Ben 10 hamburger sliders, along with pigs in blankets. 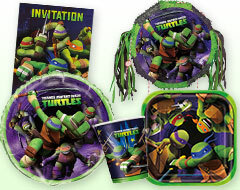 Pizza is a great standard party food choice if you are looking for some Ben 10 party ideas that will keep things simple. No Ben 10 birthday get-together would be complete without smoothies from Mr Smoothy! Add fun labels to the smoothies, just like the types of smoothies that Ben is known to enjoy, like chocolate and carrot, nectarine, and lamb and sardine! Mix up a batch of trail mix, calling it alien munchies. Pretzels, raisins, nuts, and granola are all great choices to add to your trail mix. Offer a selection of cheeses, fruits, and vegetables for the guests to enjoy. Don't put out too many vegetable choices; after all, it is the rare little boy who will eat all of his veggies! . 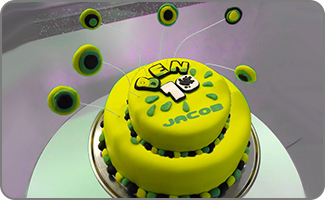 A Ben 10 birthday cake can include lots of Ben 10 party supplies as cake toppers. Cupcakes are also always a good choice, especially when topped off with Ben 10 birthday party cake toppers and return gifts. Posters of some of the alien characters from Ben 10 can add to the festive vibe to the party space. Also get some cut outs of the aliens and hang them from a ceiling fan set on its lowest setting so that the aliens appear to be flying. 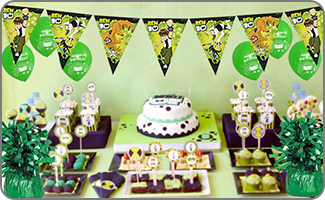 Black and green streamers, along with a birthday party banner are must-have Ben 10 party ideas. String them between doorways, arches, and light fixtures. Decorate the party space with lots of green and black latex balloons. Be sure to add at least one Ben 10 birthday Mylar balloon to the bunch. 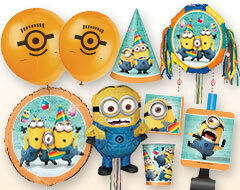 Attach a balloon to your mailbox to mark yours as the party zone on the big day. A Ben 10 pintata is not just a great party activity, but it will also serve the dual purpose of adding to the overall party décor. Decorate the party tables with an easy-to-clean vinyl table cloth. 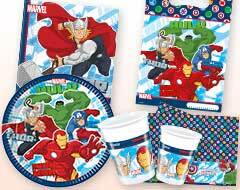 Complete the table settings with Ben 10 placemats, cups, napkins, straws, and even bright green eating utensils. 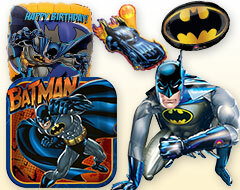 Create centerpieces for the party tables, using Ben 10 action figures and cutouts. 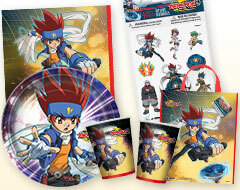 Be creative and also use some Ben 10 birthday return gifts that can be given out at the end of the party. .